In August 1987, Shelia Hunter was one of the first seven women hired into the San Francisco Fire Department. Now, thirty years later, she still serves -- as a Lieutenant at Station 33 in Oceanview. 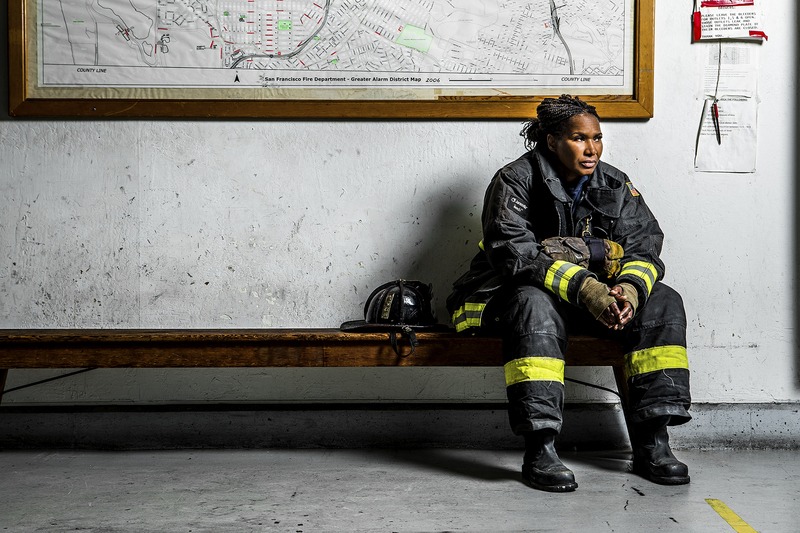 Photographed by Christie Hemm Klok for a new series and self-published book called The Women of SFFD, Hunter sits on a wooden bench in full gear, elbows resting on her thighs, helmet at her side. She looks strong, experienced and ready. 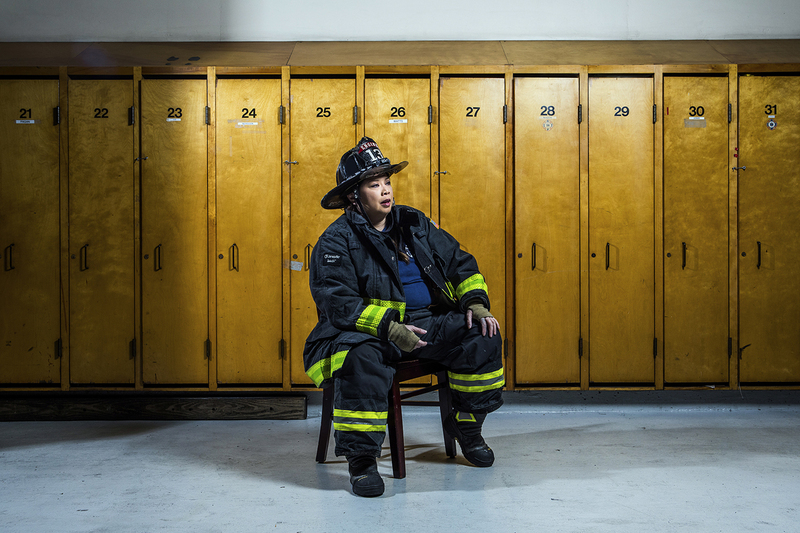 For Hemm Klok, who photographed as many of San Francisco's female firefighters as she could over the past year (including a giant group portrait at Crissy Field), the series was both a labor of love and a professional challenge. Christie Hemm Klok, firefighters during the group photo at Crissy Field. Before she started the project, Hemm Klok had no personal relationship to the fire department, let alone female firefighters. As a freelance photographer in the Bay Area, she gets a lot of work photographing start-up founders in their sleek, open-air offices. “I shoot mostly tech and I do generally like it and like what I do, but I needed something else, you know? As fulfilling as tech can be, I needed something to be passionate about and reignite the fire,” she says, no pun intended. She contacted United Fire Service Women (an organization founded to help women enter the SFFD) with her idea and heard back from them immediately -- it turned out they were preparing to celebrate their 30-year anniversary in the department. They'd just started looking for a photographer to document their members. 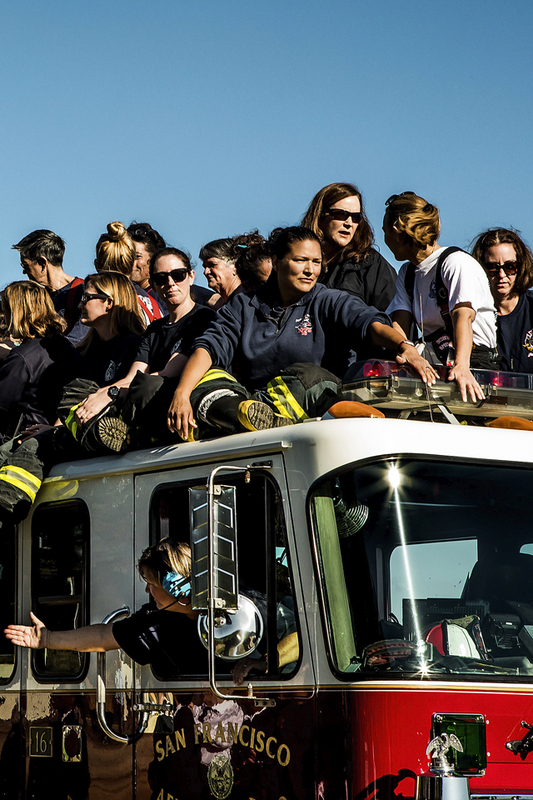 According to UFSW, the SFFD has one of the largest populations of female firefighters in the country. Women currently comprise about 15.3 percent (229 individuals) of the uniformed members of the SFFD. By extreme comparison, in 2016 the New York City Fire Department had 52 women on a force of roughly 10,500 -- about 0.5 percent -- making it among the least gender diverse fire departments in the nation. 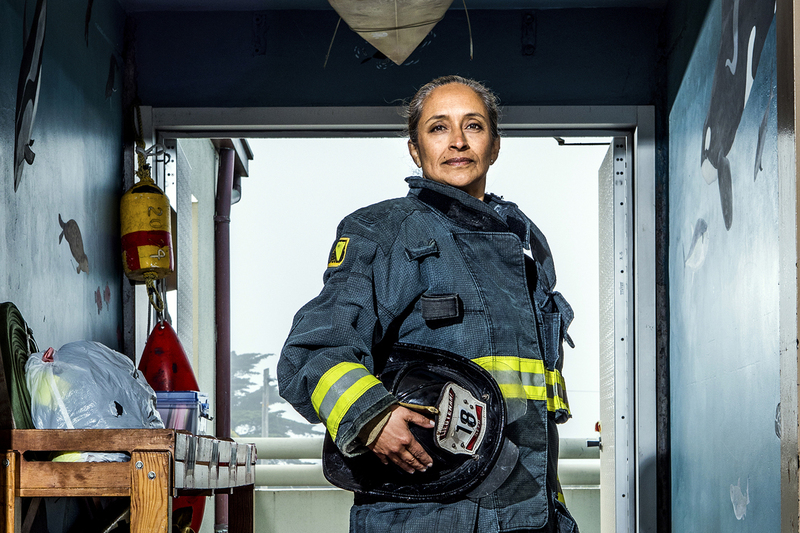 San Francisco is a city where you actually see female firefighters out and about, Hemm Klok says. And this, in turn, has brought even more women into the department. Hemm Klok’s portraits take that visibility a step further, holding the women in rare stillness -- with proud stances and serious faces -- and allowing for a moment of reflection on their many contributions to the both the department and the people of San Francisco. Getting those shots was hard, Hemm Klok says, and not just because her subjects could be called away by an emergency at any moment. Firehouses have a utilitarian sameness to them, so she had to get creative with backdrops. “We tried our absolute best to make them look different, because the women are all different,” she says. Just two of the women were photographed in offices -- Joanne Hayes-White, the 25th Chief of the SFFD (and the first woman to hold the position) and Raemona Williams, Deputy Chief of the SFFD. 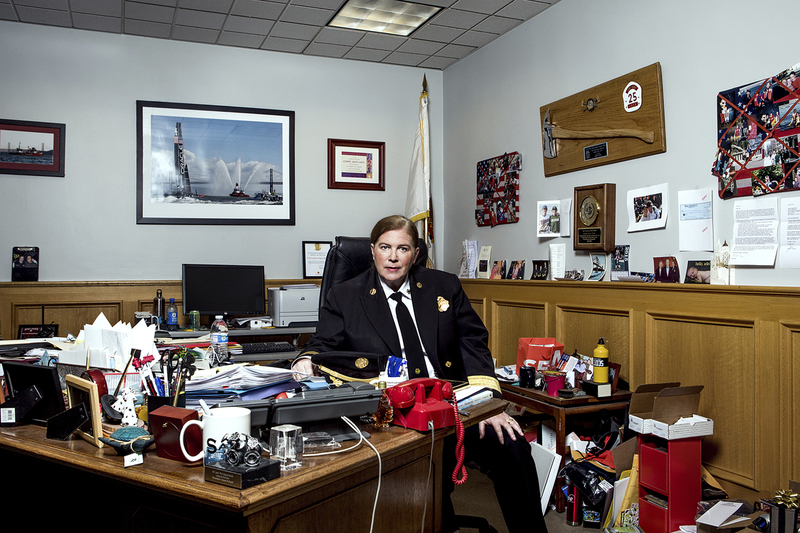 In Hayes-White’s portrait, she sits behind a desk overflowing with phones, paperwork and various mementos from her 27 years in the department. As for Shelia Hunter, she’s not only one of the first women in the SFFD, she’s also the first mother to have her daughter join the department. Hemm Klok captured them in a close-up double portrait. “I definitely see her as a role model for all women,” Khristina says of her mother. 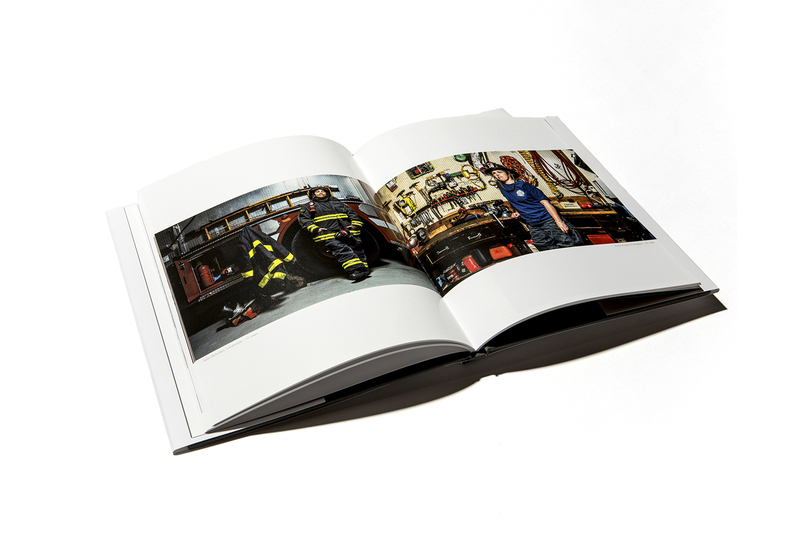 'The Women of SFFD' hardcover book is available for order on Blurb. For more information, click here.